Eighties retro is cool. Even fanny packs are in. So it’s no surprise the funky anorak is making a comeback. 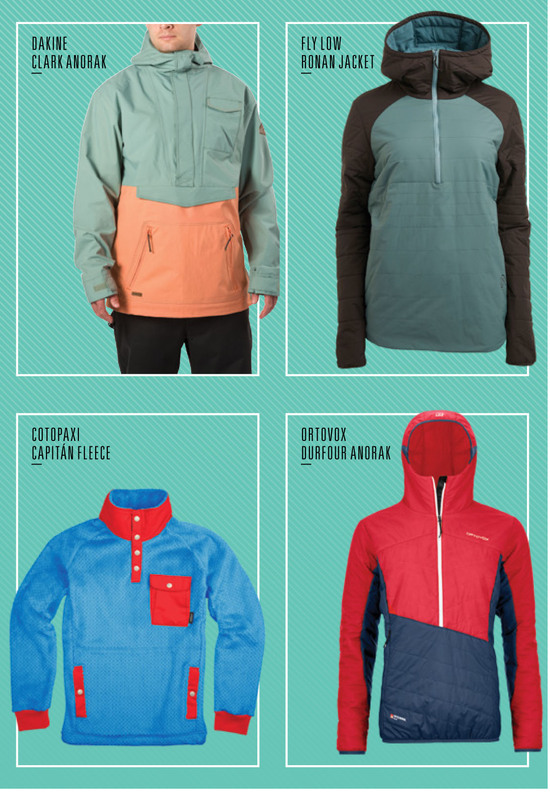 If you have neglected your stretching, the pullover jacket may not be your thing, but otherwise eliminating half a zip cuts bulk and weight, and the cleaner look is also more thermally efficient. And you can forget wrestling the two halves of a YKK together.